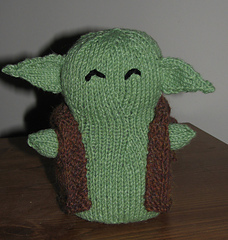 This pattern was inspired by Gabrielle Thériault’s uber-adorable Yoda Baby Bottle Cozy. 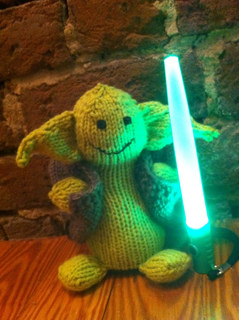 I wanted to knit a Yoda for a family member, but he was a little old for a baby bottle (and not yet old enough for a beer bottle). 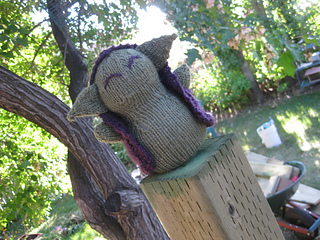 So, I adapted her pattern and Yodagurumi was born. He’s cute, and soft, and oh-so-snuggable – and wise in the ways of the Force. 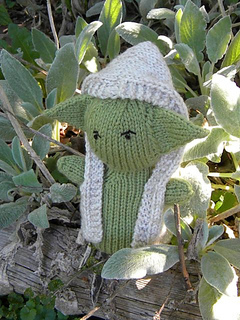 Knit on, young Jedi, knit on!